Cuba’s President Miguel Diaz-Canel will visit Russia and Asian allies including Vietnam on his first tour abroad early next month. 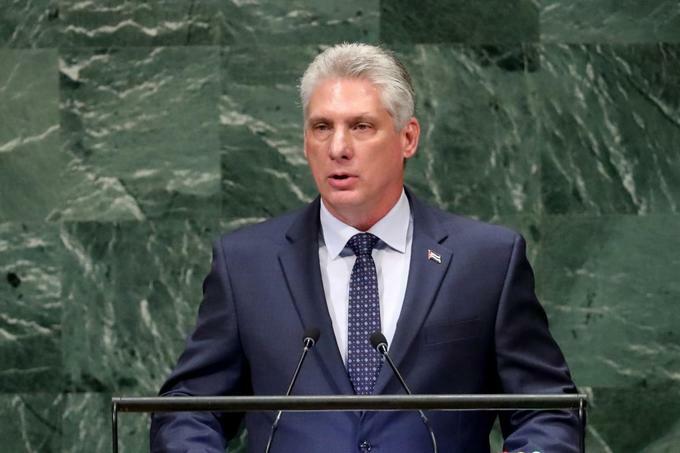 Following a news conference focused on what Rodriguez called the U.S. decision to advance down a “path of confrontation,” Cuba's Foreign Minister Bruno Rodriguez said on Wednesday that Diaz-Canel would also transit through some western European capitals, without offering details. Tensions between the island and the United States have escalated under U.S. President Donald Trump, who has reverted to Cold War characterizations of Cuba and partially rolled back the detente embarked upon by his predecessor Barack Obama. Cuba and the Europe Union have improved relations in recent years, with the EU dropping all sanctions on the island and negotiating a political dialogue and cooperation agreement.